Sarkodie has been a hot topic among international artistes on the African continent close to a decade. Just moments after reports of releasing a disstrack targeted to silence the self-acclaimed dancehall king of Africa; Shatta Wale which received several affirmative tweets by numerous colleagues in the Ghanaian music industry and prospective fans around the world, the highest awardedrapper on the African continent uploaded the album cover artwork of the eminent Gabonese music group BGMFK, endorsing their “2417” album released under Universal Music Africa.. The Ghanaian rapper made the endorsement to his over 1.46Million followers on Facebook, also encouraging them to listen to “Ton Coeur”; a song he was featured on which he effortlessly dropped some French verses that makes one have an afterthought of researching if “The Highest” was once a native french speaker. The caption to the uploaded album cover artwork of BGMFK by Sarkodie read, “Shout out to Gabonese fam @BGMFK Officielfor this dope project.===>https://apple.co/2AgNVjkY’all don’t forget to check out track #10 #BGMFK FT. #SARKODIE #TonCoeur”. BGMFK (BantouRythmsAnd Instrumentation Gang Money F-Kills) is a group of producers, rappers and singers founded in 2011 in Washington DC by Micky R and Troy. 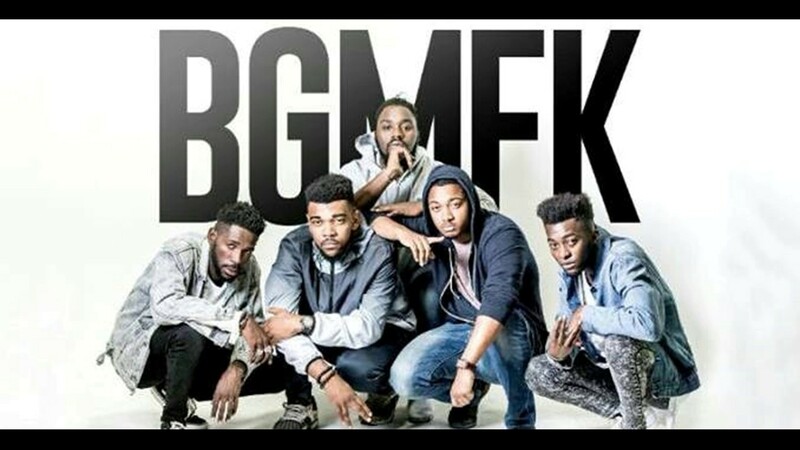 BGMFK comprises of MickyR, Troy, JeyRspctMe, YvyRealkiller and Rickbeatz (beatmaker) which are no strangers to mainstream buzz. First known for their mixtape ZOO, the BGMFKcrew elvolve around rap, rnb, mixing poetry and their passion for African rhythms, with urban and contemporary sounds. They blew on the international scene with the single “Caira” which got them to enter the Trace Urban Hip-Hop Top 10 Africa for the first time in Novermber 2015. By the first half of 2016, their series of music releases of international hit singles including “MwanaPopi”, “Le Meilleur”, “Malembe”, secured them top spots on MTV, A+ and other international TV channels. The group recently featuredbestselling Nigerian afrobeat singer Mr. Eazi on “Issa Vibe”; a mid tempo groovy song which has steadily been infiltrating the Anglophone market after its video release on youtube as well as popular Cameroonian singer Locko on “Panique Pas”; a timeless compelling melodious tune which lures a listener to ad-lib. The Universal Music Africa signed music group BGMFKis currently reaching beyond border range with their 15 track contemporary hiphop and afrop pop album through their promotional partnership with Pan African music marketing agency Promucorp which has been augmenting their media presence across both anglophone and francophone regions of African into engaging with a youth audience, eager to becoming prospective die-hard fans.